This article is about the 1942 offensive in the Soviet Union. For the 1944 Axis operation in Italy also called Winter Storm, see Battle of Garfagnana. Operation Winter Storm (German: Unternehmen Wintergewitter) was a German offensive in World War II in which the German 4th Panzer Army unsuccessfully attempted to break the Soviet encirclement of the German 6th Army during the Battle of Stalingrad. In late November 1942, the Red Army completed Operation Uranus, encircling some 300,000 Axis personnel in and around the city of Stalingrad. German forces within the Stalingrad pocket and directly outside were reorganized under Army Group Don, under the command of Field Marshal Erich von Manstein. 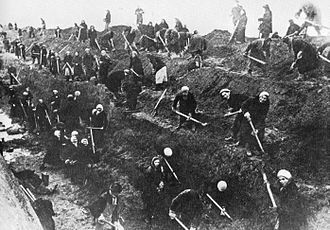 Meanwhile, the Red Army continued to allocate as many resources as possible to the eventual launch of the planned Operation Saturn, which aimed to isolate Army Group A from the rest of the German Army. To remedy the situation, the Luftwaffe attempted to supply German forces in Stalingrad through an air bridge. When the Luftwaffe proved incapable of carrying out its mission and it became obvious that a successful breakout could occur only if launched as early as possible, Manstein decided on a relief effort. Originally, Manstein was promised four panzer divisions. Due to German reluctance to weaken certain sectors by redeploying German units, the task of opening a corridor to the German 6th Army fell to the 4th Panzer Army. The German force was pitted against several Soviet armies tasked with the destruction of the encircled German forces and their offensive around the lower Chir River. The German offensive caught the Red Army by surprise and made large gains on the first day. The spearhead forces enjoyed air support and were able to defeat counterattacks by Soviet troops. By 13 December, Soviet resistance slowed the German advance considerably. Although German forces took the area surrounding Verkhne-Kumskiy, the Red Army launched Operation Little Saturn on 16 December. Operation Little Saturn crushed the Italian 8th Army on Army Group Don's left flank, threatening the survival of Manstein's entire group of forces. As resistance and casualties increased, Manstein appealed to Hitler and to the commander of the German 6th Army, General Friedrich Paulus, to allow the 6th Army to break out of Stalingrad; both refused. 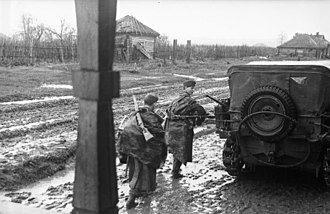 The 4th Panzer Army continued its attempt to open a corridor to the 6th Army on 18–19 December, but was unable to do so without the aid of forces inside the Stalingrad pocket. Manstein called off the assault on 23 December and by Christmas Eve the 4th Panzer Army began to withdraw to its starting position. Due to the failure of the 6th Army to break out from the Soviet encirclement, the Red Army was able to continue the strangulation of German forces in Stalingrad. On 23 November 1942, the Red Army closed its encirclement of Axis forces in Stalingrad. Nearly 300,000 German and Romanian soldiers, as well as Russian volunteers for the Wehrmacht, were trapped in and around the city of Stalingrad by roughly 1.1 million Soviet personnel. 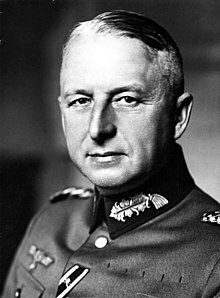 Amidst the impending disaster, German chancellor Adolf Hitler appointed Field Marshal Erich von Manstein as commander of the newly created Army Group Don. Composed of the German 4th Panzer and 6th Armies, as well as the Third and Fourth Romanian Armies, Manstein's new army group was situated between German Army Groups A and B. Instead of attempting an immediate breakout, German high command decided that the trapped forces would remain in Stalingrad in a bid to hold out. The encircled German forces were to be resupplied by air, requiring roughly 680 t (750 short tons) of supplies per day. However, the assembled fleet of 500 transport aircraft were insufficient for the task. 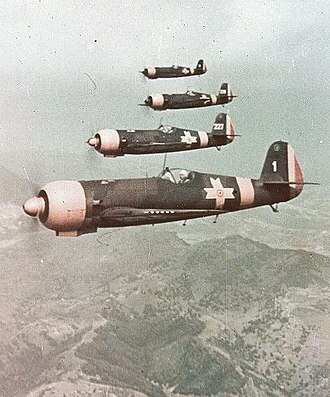 Many of the aircraft were hardly serviceable in the rough Soviet winter; in early December, more German cargo planes were destroyed in accidents than by Soviet fighter aircraft. The German 6th Army, for example, was getting less than 20% of its daily needs. Furthermore, the Germans were still threatened by Soviet forces which still held portions of the Volga River's west bank in Stalingrad. Given the unexpected size of German forces closed off in Stalingrad, on 23 November Stavka (Soviet Armed Forces High Command) decided to strengthen the outer encirclement preparing to destroy Axis forces in and around the city. 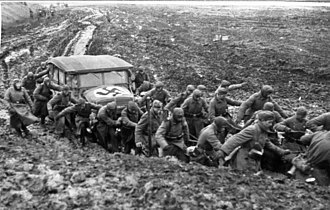 On 24 November, several Soviet formations began to entrench themselves to defend against possible German incursions originating from the West. The Soviets also reinforced the encircling forces in order to prevent a successful breakout operation by the German 6th Army and other Axis units. However, this tied down over ½ of the Red Army's strength in the area. Planning for Operation Saturn began on 25 November, aiming for the destruction of the Italian 8th Army and the severing of communications between German forces west of the Don River and those operating in the Caucasus. 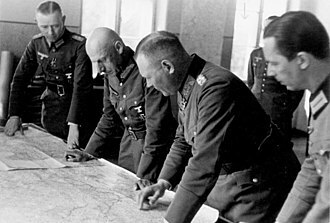 Meanwhile, planning also began for Operation Koltso (Ring), which aimed at reducing German forces in the Stalingrad pocket. 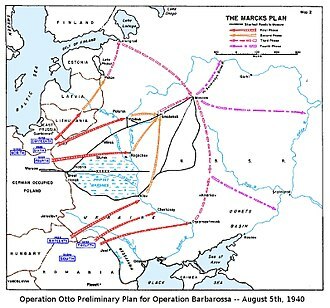 As Operation Uranus concluded, German forces inside the encirclement were too weak to attempt a breakout on their own. Half of their remaining armor, for example, had been lost during the defensive fighting, and there was a severe lack of fuel and ammunition for the surviving vehicles, given that the Luftwaffe was not able to provide adequate aerial resupply. Manstein proposed a counterstrike to break the Soviet encirclement of Stalingrad, codenamed Operation Winter Storm (German: Wintergewitter). Manstein believed that—due to the inability of the Luftwaffe to supply the Stalingrad pocket—it was becoming more important to relieve them "at the earliest possible date". 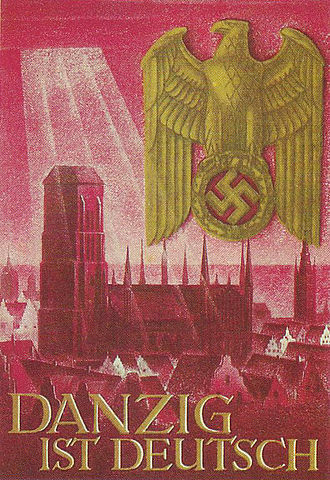 On 28 November, Manstein sent Hitler a detailed report on Army Group Don's situation, including the strength of the German 6th Army and an assessment on the available ammunition for German artillery inside the city. The dire strategic situation made Manstein doubtful on whether or not the relief operation could afford to wait to receive all units earmarked for the offensive. Stavka postponed Operation Saturn until 16 December, as Soviet forces struggled to clear German defenders from the lower Chir River. The Red Army's offensive in the area commenced on 30 November, involving around 50,000 soldiers, which forced Manstein to use the 48th Panzer Corps in an attempt to hold the area. In response, the 5th Tank Army was reinforced by the newly created 5th Shock Army, drawn from existing formations of the South-Western and Stalingrad Fronts; the 5th Tank Army totaled nearly 71,000 men, 252 tanks and 814 artillery guns. 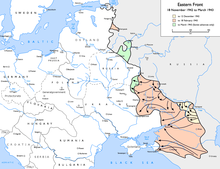 The Soviet offensive succeeded in tying down the 48th Panzer Corps, originally chosen to lead one of the main attacks on the Soviet encirclement. The Soviets were forewarned of the impending German assault when they discovered the German 6th Panzer Division unloading at the town of Morozovsk, and as a result, held back several armies from the attack on the lower Chir River to prepare for a possible breakout attempt by German forces inside Stalingrad. The relief operation was originally scheduled to include the LVII Panzer Corps of the 4th Panzer Army, under the command of General Friedrich Kirchner, including the 6th and 23rd Panzer Divisions, and Army Detachment Hollidt, consisting of three infantry divisions and two armored divisions (11th and 22nd Panzer Divisions). In total, it was expected that four panzer divisions, four infantry divisions and three Luftwaffe Field Divisions were to take part in Operation Winter Storm. They would be tasked with temporarily opening a passage to the 6th Army. 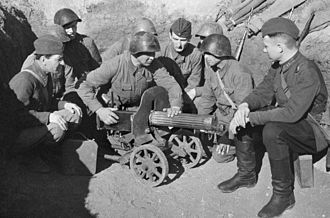 The Luftwaffe field divisions—formed of non-combat soldiers, headquarters staffs and unit-less Luftwaffe and Heer personnel—were poorly trained and lacked seasoned officers and enlisted soldiers, as well as sufficient anti-tank and artillery guns. Many of the personnel promised for the relief effort never arrived, partly due to the poor transportation service to the front, while some units originally chosen to be transferred under the command of Army Group Don were retained by their original commands. Other units in Army Group Don were in no shape to conduct offensive operations, due to losses sustained in the past month of combat, while many new formations which had been promised did not arrive on time. On the other hand, the 11th Panzer Division was one of the most complete German armored divisions on the Eastern Front since it had just been transferred out of the German Army's reserve. The 6th Panzer Division was also complete because it had been transferred to Manstein's control from Western Europe. However, the usefulness of the 11th Panzer Division was compromised when the Soviets launched their offensive against forces in the lower Chir River area, as this tied Army Detachment Hollidt down on the defensive. 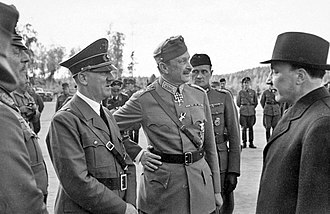 Because of this, and because Manstein believed that a thrust originating from the position of Army Detachment Hollidt would be too obvious, the German field marshal decided to use the 4th Panzer Army and the XLVIII Panzer Corps as the main components of the relief operation. 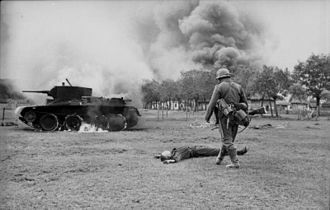 However, despite attempts by the Germans to build strength for the offensive, their position along the lower Chir River became tenuous; the Soviet breakthrough was only blunted by the arrival of the 11th Panzer Division, which was able to destroy the bulk of two Soviet tank brigades. Consequently, the XLVIII Panzer Corps became embroiled in the defensive battles for the Chir River, as the Soviets pushed in an attempt to overrun the airfield at Tatsinskaya (being used to resupply German forces in Stalingrad by air). Although the LVII Panzer Corps was reluctantly released to Army Group Don, by Army Group A, the 17th Panzer Division was ordered back to its original area of concentration, and did not prepare to go back to Army Group Don until 10 days after it had been asked for. In light of the troubles in building up sufficient forces, and seeing that the Soviets were concentrating more mechanization on the Chir River, Manstein decided to launch Operation Winter Storm using the 4th Panzer Army. Manstein hoped that the 6th Army would launch an offensive of its own, from the opposite side, upon the receipt of the code signal Thunderclap. 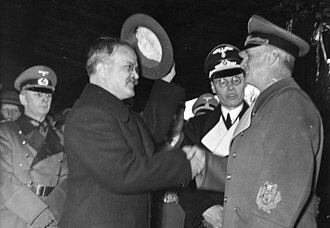 :137 Manstein was gambling on Hitler accepting that the only plausible method to avoid the demise of the 6th Army was allowing it to break out, and assumed that General Paulus would agree to order his forces to escape the Stalingrad pocket. On 10 December, Manstein communicated to Paulus that the relief operation would commence in 24 hours. For the purpose of Operation Uranus, Soviet Marshal Georgy Zhukov deployed eleven Soviet armies. In an effort to bolster the offensive capabilities of the Stalingrad Front, over 420 tanks, 111,000 soldiers and 556 artillery guns were shipped over the Volga River in a period of three weeks. 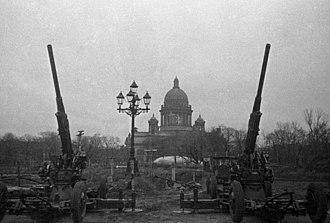 The Red Army and Red Air Force were able to amass over one million soldiers, 13,500 artillery guns, 890 tanks and 1,100 combat aircraft, organized into 66 rifle divisions, five tank corps, 14 tank brigades, a single mechanized brigade, a cavalry corps, and 127 artillery and mortar regiments. As the encirclement closed and the Soviets continued with secondary operations, the 51st Army was positioned on the edge of the outer encirclement with 34,000 men and 77 tanks. South of them was the 28th Army, with 44,000 soldiers, 40 tanks and 707 artillery guns and mortars. 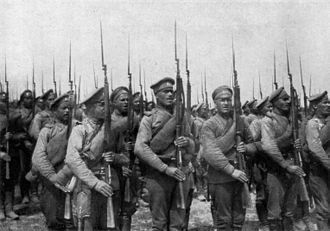 Concurrently, the Red Army began building its strength for Operation Saturn, in which it would aim to isolate and destroy German Army Group A in the Caucasus. On 12 December 1942, Hoth's Fourth Panzer Army's LVII Panzer Corps began its north-eastward drive toward German forces trapped in the Stalingrad pocket. The 6th and 23rd Panzer Divisions made large gains, surprising the Red Army and threatening the rear of the Soviet 51st Army. The German drive was due to be spearheaded by the 503rd heavy tank battalion (Germany) of Tiger I heavy tanks, but the unit did not embark on its transport to the Eastern Front until December 21, 1942 and did not see battle until the very first days of January 1943 along the Manytsch River. Initial progress of the Winterstorm offensive was rapid. Some units were able to travel up to 50 km (31 mi) in the first day. The Germans were aided by the element of surprise, as Stavka had not expected the German offensive to begin so soon, while General Vasilevsky was unable to detach the 2nd Guards Army to use it as a blocking force against Manstein's spearheads. 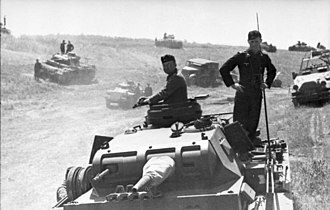 The initial advance had been so quick that the 6th Panzer Division was able to capture Soviet artillery equipment intact. 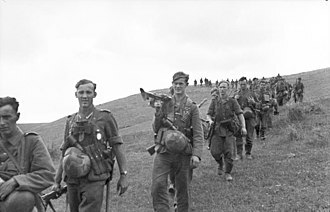 Soviet resistance decreased noticeably after the 6th and 23rd Panzer Divisions had overrun the main body of Russian infantry. In fact, the 302nd Rifle Division of the 51st Army was overrun by the end of 12 December. Although Soviet infantry quickly reinforced villages in the path of the German drive, the Red Army's cavalry in the area was exhausted from weeks of combat and was incapable of putting up serious resistance against the German offensive. Despite early gains, the LVII Panzer Corps was unable to achieve decisive results. 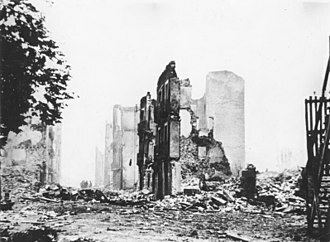 There were also reports of heavy pressure building against the 23rd Panzer Division, despite headway made on the first day of the German offensive. On 13 December, the 6th Panzer Division made contact with the Soviet 5th Tank Army, which was engaged in the reduction of German defenses around the Chir River. German forces were able to engage and defeat Soviet armor, as the former forced the crossing of the Alksay River. At this point, a major armored battle began around the village of Verkhne-Kumskiy. The fate of the campaign was largely decided in this little Cossack village. Located on the most convenient south-north road to Stalingrad, whereas the barren steppe around was riddled with ravines and gullies covered with deep treacherous snow, Verkhne-Kumskiy was unavoidable for large armored forces to move north towards the Myshkova River. On the Soviet side, Volsky's 4th Mechanized Corps was also driving at full speed towards the village. The corps had not yet had time to replenish personnel and material after the November offensive battles, it barely fielded 100 operable tanks, another 50 were in need of repair. Half of them were T-34 capable to oppose panzers Mk III and IV, the rest were light T-70, only useful against infantry or armored cars. And yet this rather small force was the reason why the German relief operation failed. At this time the road towards the encircled 6th Army was almost, and if the 4th Mechanized Corps had not interfered, Hoth would have had a greater chance to reach Paulus. Although they sustained heavy losses, the Soviet forces were able to push German forces back to the banks of the Alksay River by the end of the day, while failing to retake the town. However, the losses sustained by the Red Army in the vicinity of Verkhne-Kumskiy allowed the 6th Panzer Division to enjoy a brief superiority in tank numbers thereafter. Fighting for Verkhne-Kumskiy continued for three days, as the Red Army launched a series of counterattacks against the German bridgeheads across the Alksay River and German defenders in the town. German defenders were able to pin Soviet tanks in Verkhne-Kumskiy and destroy them using well emplaced anti-tank artillery guns. With heavy support from the Luftwaffe, the Germans were able to achieve a local success and began to push toward the Myshkova river. The 6th Panzer Division took heavy losses during its drive, and took a brief respite after the battle to recondition. 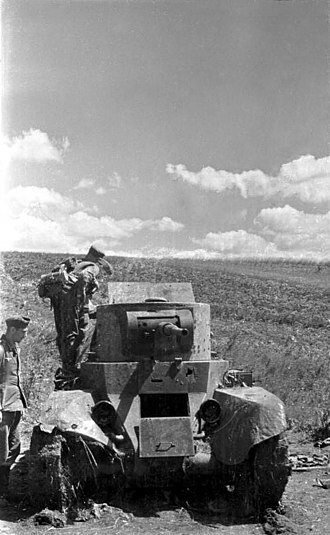 Minor damage to surviving tanks was repaired and the majority of the tanks incapacitated during the fighting at Verkhne-Kumskiy were brought back to serviceable conditions. The Fourth Panzer Army's offensive forced Stavka to recalculate its intentions for Operation Saturn, and on 13 December Stalin and Stavka authorized the redeployment of the 2nd Guards Army from the Don Front to the Stalingrad Front, where it would be ready to be used against German forces on 15 December. 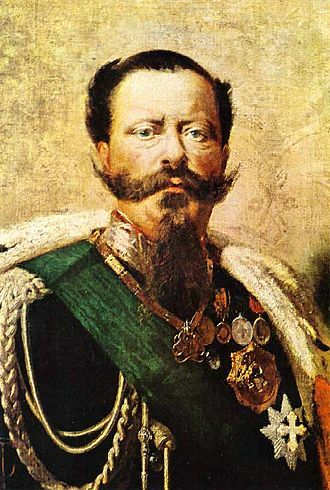 This army had a strength of roughly 90,000 soldiers, organized into three Guards Rifle Corps (the 1st, 13th and 2nd). 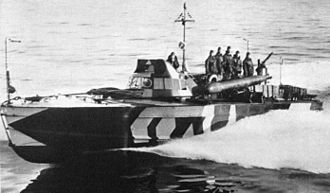 Operation Saturn was redesigned into Operation Little Saturn, which limited the scope of the attack to breaking through the Italian 8th Army and then engaging Army Group Don in the rear. The offensive was also changed from a southward push to a drive in a southeastern direction, and the start date was pushed back to 16 December. In the meantime, the 4th Mechanized and 13th Tank Corps continued to counterattack against German forces in the vicinity of the Alksay River, trying to delay their advance in anticipation of the arrival of the 2nd Guards Army. The Soviet 1st and 3rd Guard Armies, in conjunction with the Soviet 6th Army, launched Operation Little Saturn on 16 December. 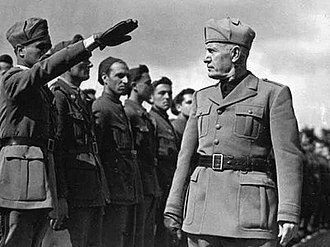 Despite early troubles due to stubborn resistance from Italian troops, the Red Army was able to partially overrun the Italian 8th Army by 18 December. The breakthrough -even if small and quickly contained- proved a possible threat to Army Group Don's left flank, while the city of Rostov was threatened by the 3rd Guards Army. This, and mainly heavy losses sustained by the German armor divisions forcing their way to the Myshkova river, forced Manstein to reconsider continuing the offensive. The German field marshal decided that he could not defend his left flank while also sustaining the attempt to relieve the 6th Army. Although the 6th Panzer Division was able to cross the Myshkova River by the night of 19 December, the LVII Panzer Corps had still not made major advances against increased Soviet opposition, despite the arrival of the 17th Panzer Division; in fact, it seemed as if the corps would have to go on the defensive. Furthermore, the Soviet raid on Tatsinskaya managed to destroy the airfield and several dozen aircraft being used by the Luftwaffe to resupply forces inside the Stalingrad pocket, forcing Manstein to order the XLVIII Panzer Corps on the defensive, instead of reserving it to bolster his forces directed toward the breakthrough to Stalingrad. To make matters worse for the Germans, on 18 December Hitler refused to allow the German 6th Army to begin a breakout operation towards the rest of Army Group Don, despite pleas from Manstein. On 19 December, Manstein sent his chief intelligence officer—Major Eismann—into Stalingrad to give General Paulus an accurate image of the strategic situation which had befallen Army Group Don. Paulus was not impressed, although he agreed that the best option continued to be an attempted breakout as early as possible. The 6th Army's Chief of Staff—Major General Arthur Schmidt—argued that a breakout was unfeasible and instead suggested that Army Group Don take steps to better supply entrapped Axis forces by air. 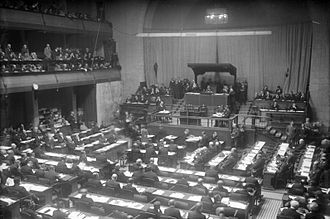 Despite agreeing with Eismann earlier, Paulus then decided that a breakout was out of the question given the 6th Army's incapability to conduct it and Hitler's express orders against it. Although that day the LVII Panzer Corps managed to break through the Alksay River and drive within 48 km (30 mi) of the southern edge of the 6th Army's front, the entrapped German forces made no attempt to link up with the relieving forces. Adam makes the point the 6th Army tanks only had fuel to go 30 km, after which they would need fuel and ammunition flown in to go any further. :142–143 Thereafter, the 6th Army simply did not have the strength to attempt a breakout, operating less than 70 serviceable tanks, with limited supplies, while its infantry were in no condition to attempt an attack in the blizzard which had developed over the past few days. Manstein ordered the 6th Panzer Division to end its offensive and redeploy to the southern Chir River, to bolster German defenses there against the continuing Soviet offensive, on 23 December. By 24 December, the Fourth Panzer Army was in full retreat,:153 returning to its starting position. The inability to breakthrough to the 6th Army, and the latter formation's refusal to attempt a breakout, caused Operation Winter Storm to collapse on 24 December, as Army Group Don returned to the defensive. 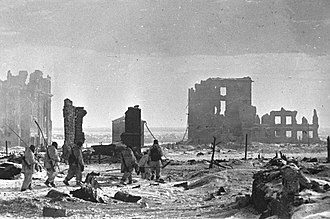 With the German relief effort defeated, Stavka was free to concentrate on the destruction of Axis forces in the Stalingrad pocket and the westward expansion of the Red Army's Winter offensive. The Red Army was able to bring to bear almost 150,000 personnel and 630 tanks against the retreating 4th Panzer Army and although Volsky's 4th Mechanized Corps (renamed 3rd Guard Mechanized Corps on 18 December 1942) was withdrawn to be refitted, the 51st Army, the 1st Guards Rifle and 7th Tank Corps struck at German units withdrawing between the Mushkova and Aksai Rivers. 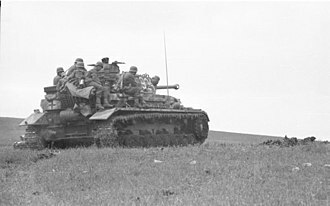 In three days, the attacking Soviet units broke through the Romanian positions guarding the LVII Panzer Corps' flank and threatened the 4th Panzer Army from the south, forcing the Germans to continue withdrawing to the southwest. All the while, the XLVIII Panzer Corps—led mainly by the 11th Panzer Division—strove to maintain its position along the Chir River. Despite success, the XLVIII Panzer Corps was rushed to the defense of Rostov as a Soviet breakthrough seemed imminent after the partial collapse of the Italian 8th Army. As the Red Army pursued the 4th Panzer Army toward the Aksai River and broke through the German defense on the banks of the Chir River, it also began to prepare for Operation Ring—the reduction of the forces in Stalingrad. German forces in Stalingrad soon began to run out of supplies, with horse meat used to supplement diets. By the end of 1942, the distance between the German 6th Army and forces outside of the encirclement was over 65 km (40 mi), and most of the German formations in the area were extremely weak. 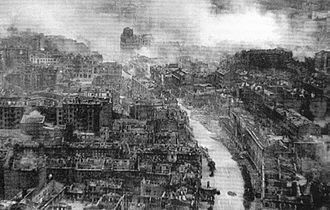 Hitler's insistence in holding Stalingrad to the last risked the existence of the 6th Army. The end of the German offensive also allowed the Red Army to continue in its efforts to cut off German forces in the Caucasus, which would begin in the middle of January. On the other hand, the encirclement of the 6th Army and the operations to destroy it tied down a considerable number of Soviet troops, which affected Soviet operations on other sectors. ^ "Germany at War: 400 Years of Military History", p. 1467. ^ a b c d Adam, Wilhelm; Ruhle, Otto (2015). With Paulus at Stalingrad. Translated by Tony Le Tissier. Pen and Sword Books Ltd. pp. 129–136. ISBN 9781473833869. Beevor, Antony (1998). Stalingrad: The Fateful Siege: 1942–1943. Harmondsworth, United Kingdom: Penguin Putnam Inc. ISBN 0-670-87095-1. Bell, Kelly (Fall 2006). "Struggle for Stalin's Skies". WWII History: Russian Front. Special. Herndon, Virginia: Sovereign Media. Issue. 1539-5456. Erickson, John (1983). The Road to Berlin: Stalin's War with Germany. New Haven, Connecticut: Yale University Press. ISBN 0-300-07813-7. Erickson, John (1975). The Road to Stalingrad: Stalin's War With Germany. New Haven, Connecticut: Yale University Press. ISBN 0-300-07812-9. 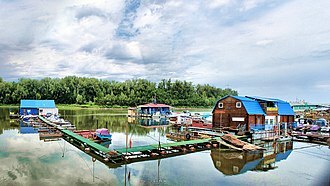 Isaev, A.B. (2008). Сталинград. За Волгой для нас земли нет (in Russian). Moscow, Russia: Exmo. ISBN 978-5-699-26236-6. McCarthy, Peter; Mike Syryon (2002). Panzerkrieg: The Rise and Fall of Hitler's Tank Divisions. New York City, New York: Carroll & Graf. ISBN 0-7867-1009-8. McTaggart, Pat (Fall 2006). "Soviet Circle of Iron". WWII History: Russian Front. Special. Herndon, Virginia: Sovereign Media. Issue. 1539-5456. Raus, Erhard (2002). Panzers on the Eastern Front: General Erhard Raus and his Panzer Divisions in Russia 1941–1945. Mechanicsburg, PA: Military Book Club. ISBN 0-7394-2644-3.
von Manstein, Erich (1982). Lost Victories. St. Paul, MN: Zenith Press. ISBN 978-0-7603-2054-9. Joly, Anton (2017). Stalingrad Battle Atlas, Volume IV, Operation Winter Storm. Paris, France: Staldata Publications. ISBN 979-10-93222-09-7. Aleksandr Mikhaylovich Vasilevsky was a Russian career officer in the Red Army who was promoted to the rank of Marshal of the Soviet Union in 1943. He was the Chief of the General Staff of the Soviet Armed Forces and Deputy Minister of Defense during World War II, Vasilevsky began his military career during World War I, earning the rank of captain by 1917. 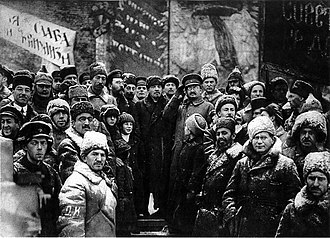 At the start of the October Revolution and the Civil War he was conscripted into the Red Army, after the war, he quickly rose through the ranks, becoming a regimental commander by 1930. In this position, he showed skill in organizing and training his troops. Vasilevskys talent was noticed, and in 1931 he was appointed a member of the Directorate of Military Training, in 1937, following Stalins Great Purge, he was promoted to General Staff officer. In July 1945, he was appointed Commander-in-Chief of Soviet forces in the Far East, executing the Manchurian Strategic Offensive Operation, after the war, he became the Soviet Defense Minister, a position he held until Stalins death in 1953. With Nikita Khrushchevs rise, Vasilevsky began losing power and was pensioned off. After his death, he was buried in the Kremlin Wall Necropolis in recognition of his past service, Vasilevsky was born on September 30,1895 in Novaya Golchikha in the Kineshma Uyezd in a family of Russian ethnicity. Vasilevsky was the fourth of eight children and his father, Mikhail Aleksandrovich Vasilevsky, was a priest to the nearby St. Nicholas Church. His mother, Nadezhda Ivanovna Sokolova, was the daughter of a priest in the village of Ugletz. Vasilevsky reportedly broke off all contact with his parents after 1926 because of his Communist Party membership and his duties in the Red Army. 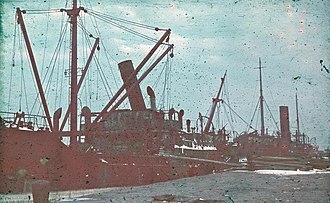 However, the family resumed relations in 1940, following Joseph Stalins suggestion that they do so, according to Vasilevsky, his family was extremely poor. His father spent most of his working to earn money. In 1897, the moved to Novopokrovskoe, where his father became a priest to the newly built Ascension Church. In 1909, he entered Kostroma seminary, which required considerable financial sacrifice on the part of his parents, the same year, a ministerial directive preventing former seminarists from starting university studies initiated a nationwide seminarist movement, with classes stopping in most Russian seminaries. The Tiger I listen was a German heavy tank of World War II deployed from 1942 in Africa and Europe usually in independent heavy tank battalions. Its final designation was Panzerkampfwagen VI Tiger Ausf, the Tiger I gave the Wehrmacht its first armoured fighting vehicle that mounted the 8.8 cm KwK36 gun. 1,347 were built between August 1942 and August 1944, after August 1944, production of the Tiger I was phased out in favour of the Tiger II. While the Tiger I has been called a design for its time, it was over-engineered, using expensive materials. The Tiger was prone to types of track failures and breakdowns. It was expensive to maintain, but generally mechanically reliable and this was a problem on the Eastern Front in the muddy rasputitsa season and during extreme periods of cold. The tank was given its nickname Tiger by Ferdinand Porsche, the initial designation was Panzerkampfwagen VI Ausführung H where H denoted Henschel as the designer/manufacturer. It was classified with ordnance inventory designation SdKfz 182, the tank was re-designated as PzKpfw VI Ausf. E in March 1943, with ordnance inventory designation SdKfz 181, only a handful of Tigers survive in museums and exhibitions worldwide. The Bovington Tank Museums Tiger 131 is currently the only one restored to running order, Henschel & Sohn began development of a large tank design in January 1937 when the Waffenamt requested Henschel to develop a Durchbruchwagen in the 30–33 tonne range. 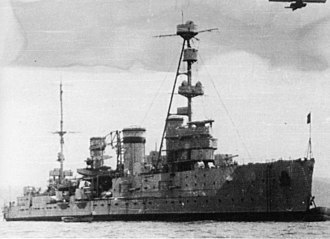 Only one prototype hull was built and it was never fitted with a turret. The Durchbruchwagen Is general shape and suspension resembled the Panzer III while the turret resembled the early Panzer IV C turret with the short-barrelled 7.5 cm L/24 cannon.5 cm L/24 gun, overall weight would have been 36 tonnes. Only one hull was built and no turret was fitted, further development of the Durchbruchwagen was dropped in 1938 in favour of the larger and better-armoured VK30.01 and VK36.01 designs. 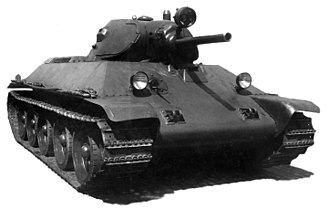 Both the Durchbruchwagen I and II prototype hulls were used as test vehicles until 1941, the VK30.01 medium tank and the VK36.01 heavy tank designs pioneered the Schachtellaufwerk, the overlapping and interleaved main road wheels for tank use.